On an evening when most of Australia has been in mourning for cricket Phillip Hughes who died as a result of a tragic accident, Brisbane has been hit by a destructive storm. There are a few changes in store for my friends back in Blenheim with recent announcements from the airlines that serve Woodbourne Airport. Air New Zealand's announcement that it is axing its Beech 1900D fleet will see the BHE-CHC and BHE-WLG routes experience some service reductions, however these will be tempered by an increase in seats and fare reductions. The Blenheim - Wellington route will drop to just 4 daily return flights, while Christchurch will lose its 3rd daily rotation leaving just 2 peak hour rotations. Air New Zealand chief executive Christopher Luxon said passengers in and out of Blenheim would benefit from an average 15 per cent drop in fares because of the extra seats. Blenheim however will experience some of the last changes with the Wellington route changing in March 2016, while the Christchurch route will change in April 2016, just four months before the final 1900D is retired. As noted by fellow blogger Steve over at 3rd Level New Zealand air2there have dropped all reference to Wellington from their website with Blenheim flights now only operating to Paraparaumu. Last Friday I was pleased to open the Marlborough Aero Club email version of their newsletter Mac Flyer to read the story about their brand new Cessna C208 Caravan which the airline has recently purchased in the United States and is in the process of ferrying back to Blenheim. 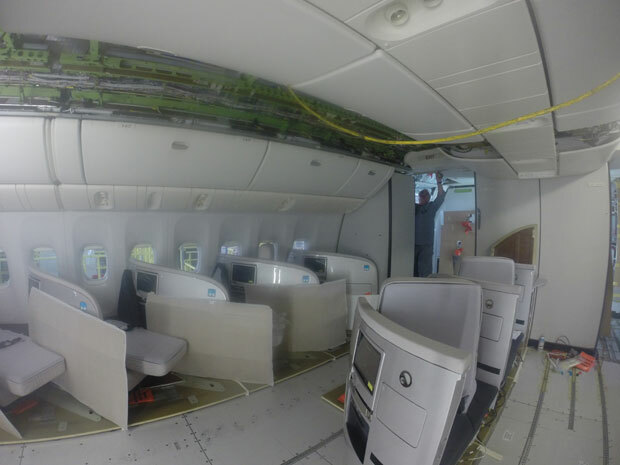 The airline has also posted pics of this C208B which will be registered ZK-SAW on its Facebook page. The C208B will allow SoundsAir to add Blenheim - Paraparaumu to its schedule from January 2015, and with the recent announcement by the national carrier may also allow it to service Westport. Air New Zealand have this afternoon announced major changes to its domestic regional routes as a result of subsidiary Eagle Air losing $1M NZD per month. Air New Zealand will invest in 4 additional new ATR 72-600 aircraft allowing the Q300 fleet to replace the 1900D on services to ports that can sustain the 50 seaters. However Whakatane, Kaitaia & Westport will no longer be serviced by Air New Zealand, while four other regional pairings will also go. Unfortunately there are a small number of regional routes where customer demand simply cannot sustain larger 50 seat aircraft and Air New Zealand will therefore suspend the following services from April 2015: Kaitaia – Auckland; Whakatane – Auckland; Whangarei – Wellington; Taupo – Wellington; Westport – Wellington and Palmerston North – Nelson. Hamilton – Auckland will also be suspended from February 2016. Air New Zealand will also introduce regional "Gotta Go" fares and restructure its bereavement fares, to counter the wave of public criticism of high last minute fares. From 20 November customers dealing with a bereavement or unexpected critical medical situation will have the security of knowing they can travel domestically at short notice for a fixed price of $169 for a single sector or $249 for two or more sectors. These fares can be booked up to seven days in advance of travel for a close family bereavement or up to 48 hours in advance of travel for a critical medical situation. Virgin Australia CEO John Borghetti has started a speculation war announcing to a Travel & Tourism function that Virgin Australia will add two or possibly three new International routes int he next three years. This appears to be on top of the recent announcement that now TigerAir Australia is 100% owned by Virgin Australia they will launch international services from Australia as well. Speculation mounts as to where the routes will be and which aircraft will they use? B738? A330? B773? Asia? North America? Europe? Pacific? As reported earlier on this blog and elsewhere there have been some changes to international schedules into and out of Australasia, and these schedules have now begun. Virgin Australia ended its MEL-LAX flights on Sunday and up gauged its BNE-LAX services to daily. With the new codesharing agreement between Singapore Airlines and Air New Zealand taking effect on the Singapore - Auckland route, today saw the first Airbus A380 flight on the SQ285/286 service, operated by A380-841 9V-SKB. Singapore will continue to operate its Boeing 777-200s on SQ282/281 evening service until January when this is replaced by an Air New Zealand Boeing 777-219 service, under the code NZ281/282. The A380 service will operate over the southern summer, and is expected to return to a Boeing 777-300 service at the end of March 2015. Today also saw Untied's first International Boeing 787-9 route with the direct LAX-MEL UA98 route touching down on Australian soil. Boeing 787-9 N38950 inaugurated the now direct service and is set to return direct to LAX as UA99 at time of writing. This route previously operated with a Boeing 777-200 and a stop in SYD. Media outlets report Virgin Australia CEO John Borghetti is set to take up the remaining 40% stake in low cost carrier TigerAir Australia for the princely sum of just $1. Taking full ownership of TigerAir Australia has always been part of the Virgin Australia strategy as part of their 'Virgin Vision 2017' plan. Borghetti is quoted as saying he intends to have the struggling carrier back in profitability ahead of schedule before the end of 2016, by leveraging the resources of the wider Virgin Australia group. So what exactly does $1 get Virgin? Obviously 40% of remaining shares, but also a fleet of 13 A320 aircraft, obvious current debt, the rights to operate the TigerAir Australia in Australia, but also the rights to operate the brand on a number of short haul international routes from Australia. This international expansion would likely see TigerAir competing against Jetstar on routes to Bali and other south east Asian locations and may open up the opportunity for TigerAir to enter slim Trans Tasman routes, especially those that have previously been flown and dropped by the major carriers. The transaction is expected to be completed by the end of the year pending permission from regulatory authorities and shareholders. The Queensland Government has announced the winning tenders to operate the Government subsidised regulated regional routes. The big winner in the announcement is Regional Express (Rex) who have picked up three routes to add to their existing two, taking them to five regional Queensland routes. All five of the routes will be operated by the Rex fleet of Saab SF340B aircraft, with the two Western routes operating through the new Brisbane West- Wellcamp Airport at Toowoomba. Rex picked up Northern 1 and 2 in 2011. The addition of Western 1 & 2 sees Rex return to scheduled services at Brisbane after an absence, however they have still operated FIFO and Freight charters from Brisbane, so have maintained a presence. These routes will continue to be operated by Qantaslink's Dash 8Q aircraft however both routes will see an up gauge with Central 2 up gauging to Q400 and Central 1 to Q300. The big loser from this announcement is Skytrans who have lost almost all their regulated routes (to Rex) this comes hot on the heels of their loss of their Toowoomba - Sydney service which is ceasing due to the introduction of the new Qantaslink Q400 Wellcamp - Sydney services. The loss of the Western 1 & 2 contracts will see the end of Skytrans operating scheduled services from Brisbane however they will continue to maintain a presence through FIFO contracts. 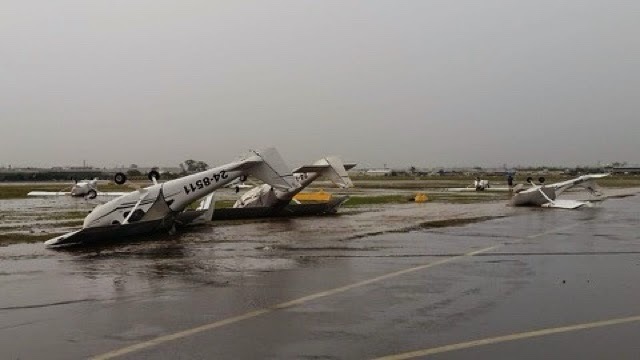 Another loser in all of this is Virgin Australia Regional Airlines (VARA) who have for quite sometime been trying to get access into the Queensland regional routes, and have often been thwarted by the regulated route structure. VARA tendered but did not win any of the available routes. There only options for possible extensions to regional Queensland flying comes from existing routes or the below deregulated routes. Time will tell if previous threats made by Virgin CEO John Borghetti to the Queensland Government regarding implications of the lack of access to the Queensland regions come to pass. All existing contracts end on 31-December-2014 with new contracts beginning on 1-January-2015. 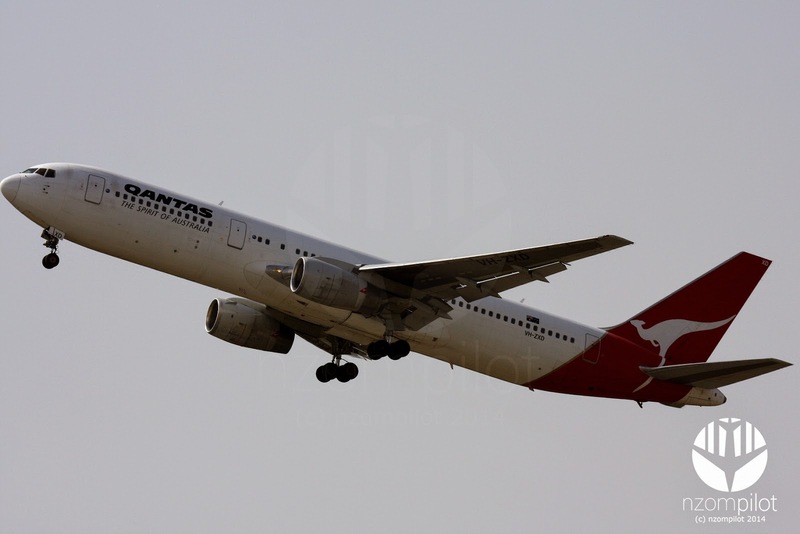 The item on 60 Minutes Australia on the retirement flight of Qantas Boeing 767 VH-OGG to VCV and the aircraft graveyard finally aired last night in Australia, after several weeks of delay. Although the item is yet to appear on their youtube channel, it does feature on their app and extras can be seen on youtube including the below birdseye view of the graveyard. The video shows the seats in the three different classes, Business Premier, Premium Economy & Economy, as well as mentioning some of the features and the menus in each cabin. With Air New Zealand's retirement of the Boeing 747 I have decided to test out a video blog. 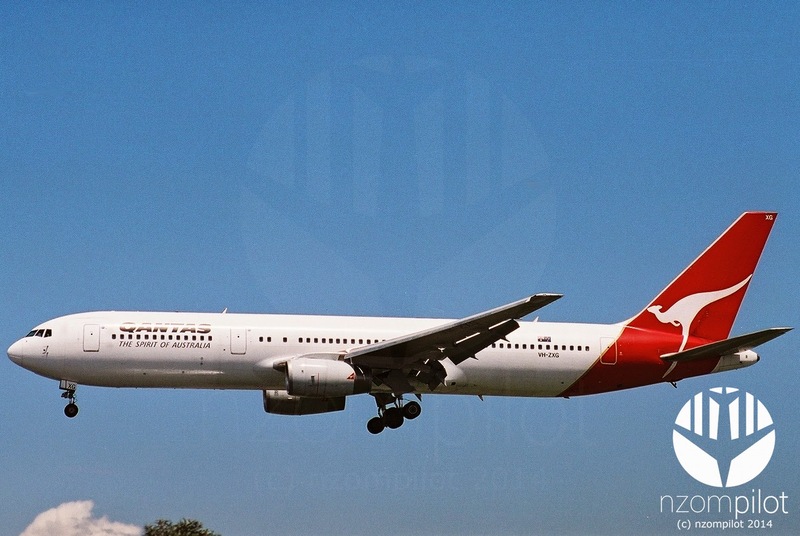 As mentioned in this POST, 60 minutes Australia were scheduled to show a story tonight on the retirement of the Qantas 767 fleet and the "aircraft graveyard" at Victorville. However due to a dodgy political 'special investigation' the story did not air tonight. Hopefully the story will air next Sunday night instead. This Sunday night 60 Minutes Australia which screens on the Nine Network has an item on the retirement of the Qantas Boeing 767 fleet and the boneyard they are being stored in at Victorville in California. 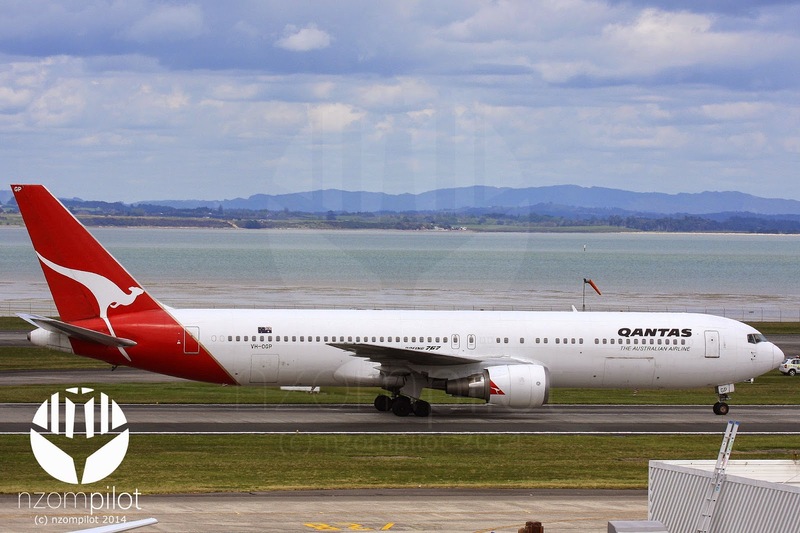 Reporter Charles Wooley reports from aboard Qantas Boeing 767 VH-OGG (former wearer of the Disney Planes livery) as it departs the Qantas fleet to the boneyard. The story will air during this Sunday's broadcast 20:00 AEST 7-September-2014 and will be available on the 9 Jumpin website afterwards. Bucking the trend of fellow Australian operators and joining Air New Zealand in announcing a profit was Rex with a full year profit before tax of $10.7m($AUD) with a net profit of $7.725m ($AUD) this was down 44.9% on the FY13 net profit. Rex executive chairman Lim Kim Hai said the carbon tax, an increased fuel levy to fund the Civil Aviation Safety Authority and record fuel prices were all negative factors in 2013/14. There were a few announcements of note in the release, FY14 saw REX take full ownership of its 51 frame SF340B+ fleet purchasing the remaining 18 frames that came off lease at the end of March 2014. Its subsidiary Pel-Air has secured contract extensions for some of its SA based mining charter operations and has tendered for the dedicated search and reduce service for the Australian Maritime Safety Authority which will be announced later this year. In FY14 the Pel-Air contract for fast jet support to the Australian Defence Force was also renewed by the Federal Government. Pel-Air has also launched a number of SF340B+ flights in Queensland in support of resource sector FIFO operations. Subsidiary Air Link began a Sydney - Cobar charter service in October 2013 and has also re-commenced RPT services this month, with a twice weekly SYD-DBO 1900D service. REX is awaiting the outcome of its tenders to the Queensland Government to operate regulated regional Queensland routes which will be announced in October. REX currently services the TSV-WIN-LRE* and TSV-HGD-RCM-JCK-ISA^ routes with a current contract end of 31 December 2014. 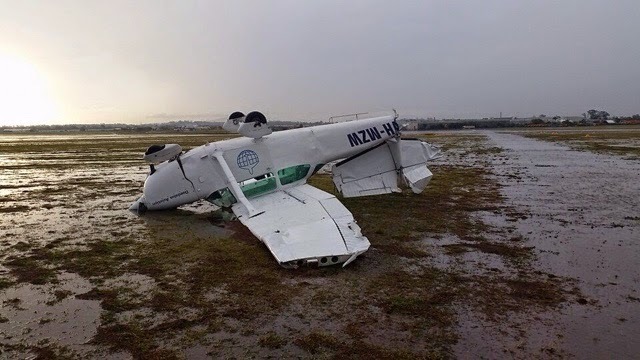 REX also launched a 3x daily SYD-ARM service on 28 March 2014 after an expression of interest period from local councils within a 600km radius of SYD, brought about by a network review and the recruitment of 11 former pilots of recently collapse competitor Brindabella Airlines. With restructuring and balance sheet costs, fuel, taxes etc also heavily contributing. Virgin Australia has now completed its "Game Change Program Strategy" and has introduced Virgin Vision 2017 as its new focus. We can expect to see some change with this new vision which has wide scope throughout the entirety of the Virgin group. 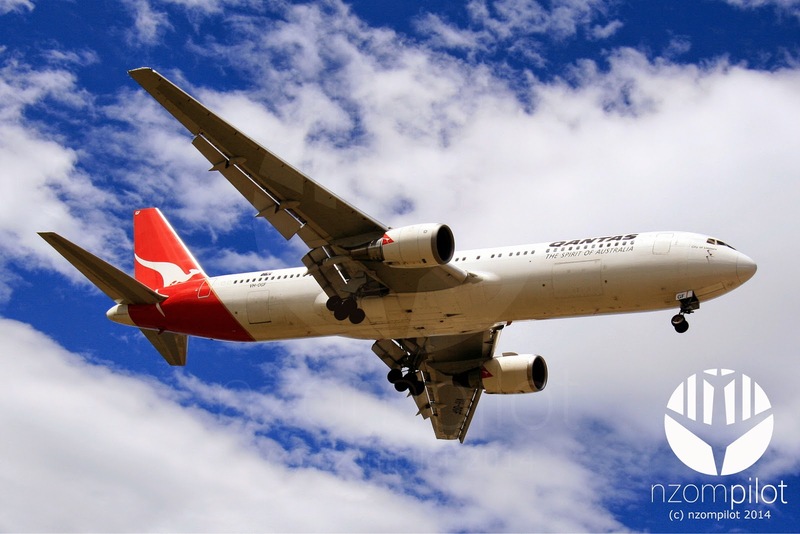 The first change has seen Affinity Equity Partners buy a 35% stake in the Velocity Frequent Flyer program, giving the program an enterprise value of $960m ($AUD) This will see the program remain under the control of Virgin Australia but with a separate board of directors. Virgin Australia will maintain 65% voting rights and will appoint the chairman to the board. There will be some change in the fleet with the retirement of the two ex Emirates Airbus A330s an increased utilisation of the Boeing 737-800 fleet and the introduction of the new Boeing 737MAX fleet being brought forward from 2018 to 2017. Virgin's charter operation, which have been built on the base afforded by the acquisition of Skywest has had a successful first year and Virgin are looking to grow it into a $200m ($AUD) operation by 2017. Virgin will launch a new freight business in FY15 to leverage off their current RPT and Charter operations. As part of the streamlining of operations Virgin will reduce its long-haul international bases to two (SYD & BNE - with the already announced end of MEL-LAX flights) it will also integrate Virgin Australia (NZ) operations back into its international division. Virgin have announced they will also introduce business class onto all flights across the Tasman and to Fiji, which will be seen through the standardisation of the on board offering through the integration of VA(NZ) back into VA. Currently VA(NZ) aircraft which operate on these routes do not have business class seating. The biggest list of change/improvement is with the TigerAir LCC brand. Jetstar's domestic Australian operations were profitable as they have been every year since the launch in 2004. The losses are attributed to unfavourable fuel costs of $86m, a $113m yield decline across the JQ group and $70m in costs for the rapid acceleration of the Jetstar Japan operation, as well as another $20m in costs for other Jetstar operations in Asia. Day two of Australasian Aviation financial announcements saw Qantas announce a record $2.843 billion ($AUD) full year loss. 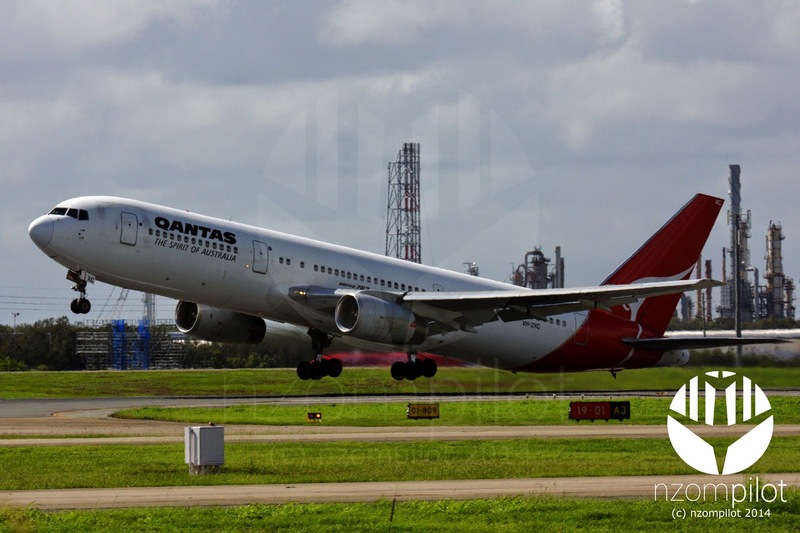 Qantas has reported a lower than expected full-year underlying loss before tax of $646 million, but booked a statutory loss of $2.8 billion as a result of hefty restructuring charges and writedowns to its fleet. One of the most notable hits was the historic write down of the international fleet at $2.6b most notably due to an exchange rate of around $0.68 AUD-USD at time of purchase. Jetstar had an underlying loss but I will focus on this in a separate post. 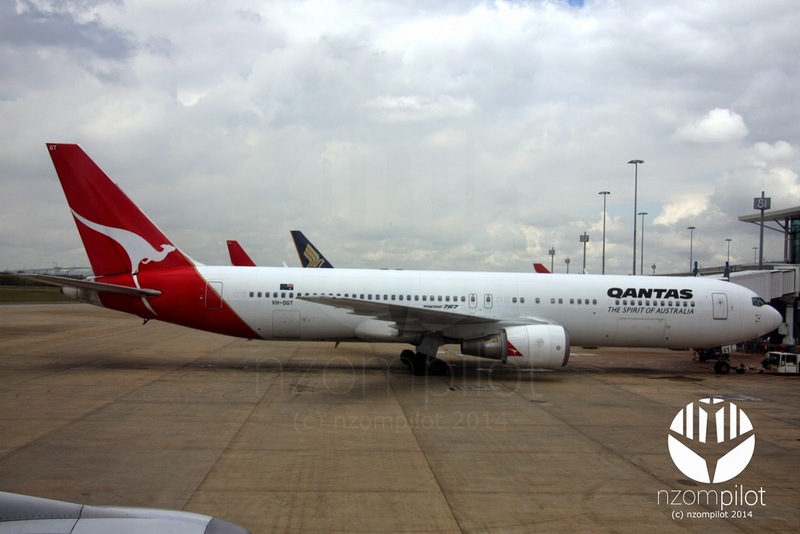 Qantas Freight made an underlying profit of $24m down from $36m in FY13, however Qantas Loyalty had the best result with an underlying profit of $286m up from $260m in FY13. There are some interesting changes to the QF fleet coming out of this announcement. - Early retirement of B767 fleet, to be gone by end of 2014!